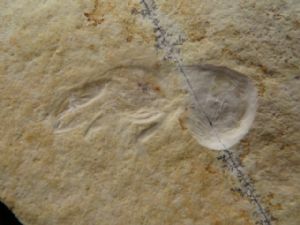 A new recently described genus of shrimp from the Lithographic limestone. Quite small. Decent detail under magnification.